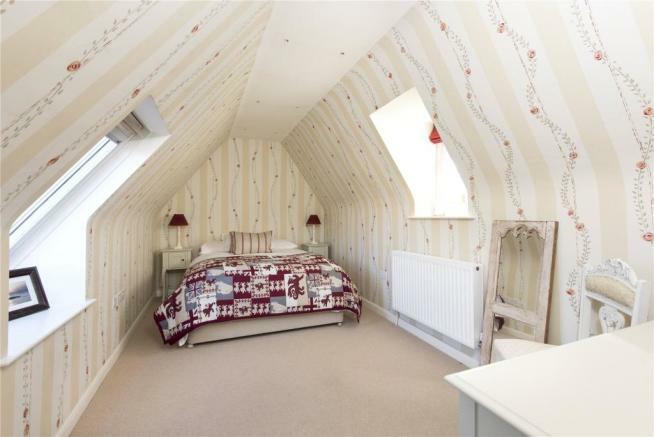 Three spacious reception rooms,five bedrooms, four bathrooms. 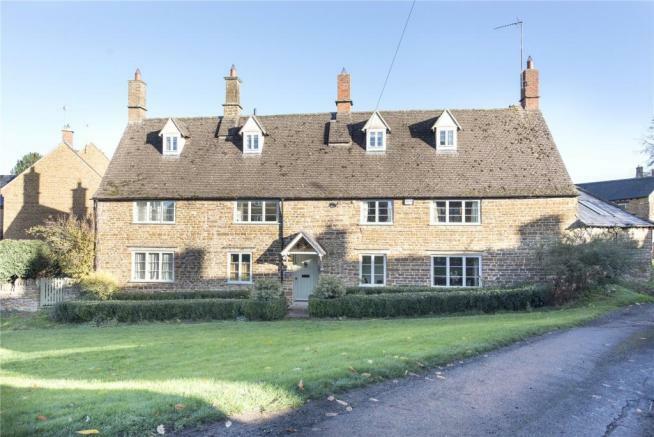 Wardington is an attractive, peaceful north Oxfordshire village situated close to the south Northamptonshire border. Set in rolling open countryside, the village is made up of principally ironstone houses and cottages. The village has one public house, a newly refurbished village hall and a parish church with local shopping facilities in the nearby villages of Cropredy and Middleton Cheney. Banbury (5 miles) provides for more specialist requirements. There is an hourly bus service between Banbury and Rugby, via the village. Independent prep schools can be found at Carrdus (Overthorpe), St John’s Priory (Banbury), Winchester House (Brackley), Beachborough (Westbury) and Arnold Lodge (Leamington). Senior public schools at Stowe, Tudor Hall (Bloxham), Warwick (Boys) and Kings High (Girls). Excellent connection to the M40 motorway at junction 11 is about 4 miles away. Mainline train services from Banbury to London (Marylebone from 56 minutes). Birmingham airport is about 35 miles away. Sporting activities in the area include an indoor sports and swimming pool complex in Banbury; golf at Cherwell Edge (Chacombe) and Tadmarton Heath; horse racing at Towcester and Warwick; and motor racing at Silverstone. Soho Farmhouse is 16 miles away. Excellent country walks on the door-step. 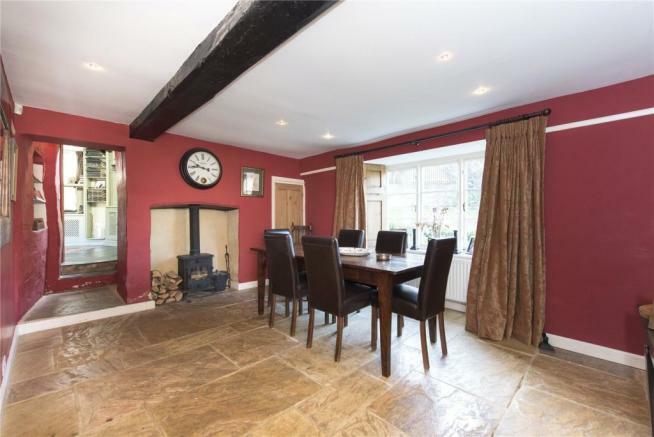 17th Century character property with three delightful spacious reception rooms with the addition of a separate annex providing flexible accommodation for an au pair or extended family. 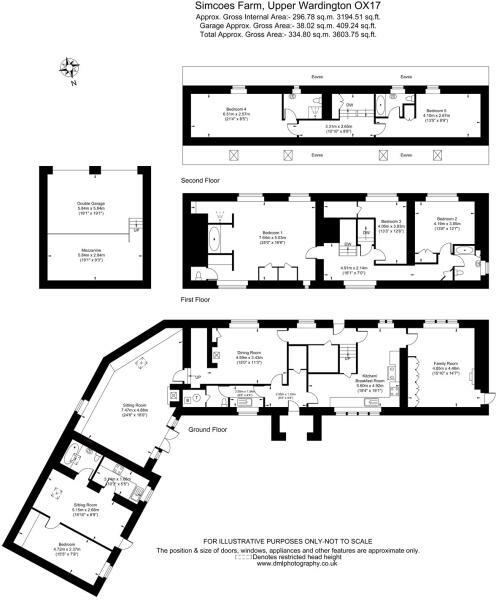 Five bedrooms and four bathrooms over three floors. 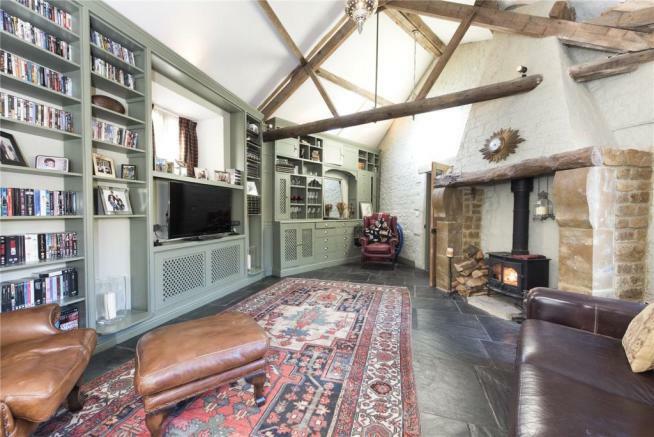 There are a wealth of period features including fireplaces (with wood burning stoves), exposed timbers, window seats, flagstone floors, exposed wooden floor boards, shutters, four panel internal pine doors. 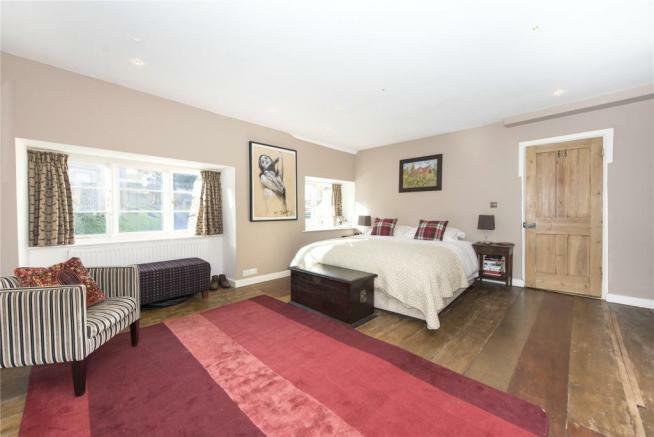 Offered in excellent order throughout, having been modernised in more recent times. 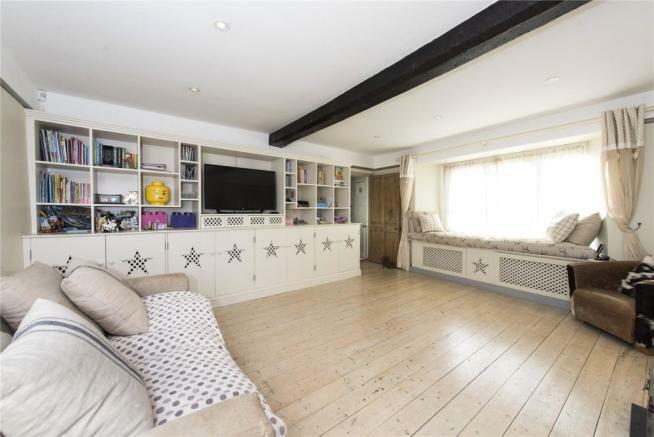 Vaulted drawing room has extensive full height built-in book and display shelves providing excellent entertaining space. 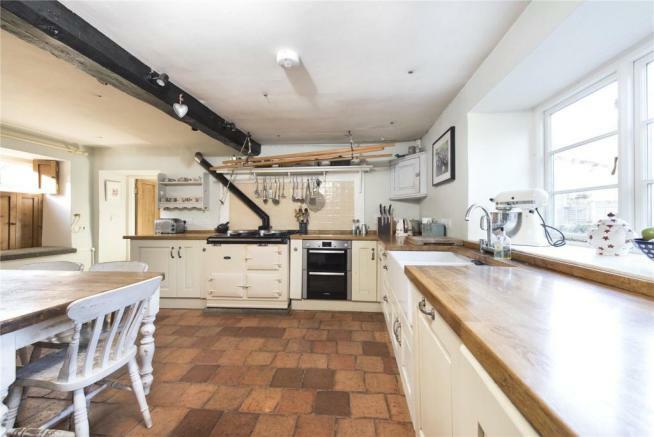 Delightful fitted kitchen with two oven Aga, certainly the hub of the house. There is scope to create a larger kitchen and breakfast room by linking into the playroom, subject to the relevant consents. This would then open the kitchen straight out onto the garden. 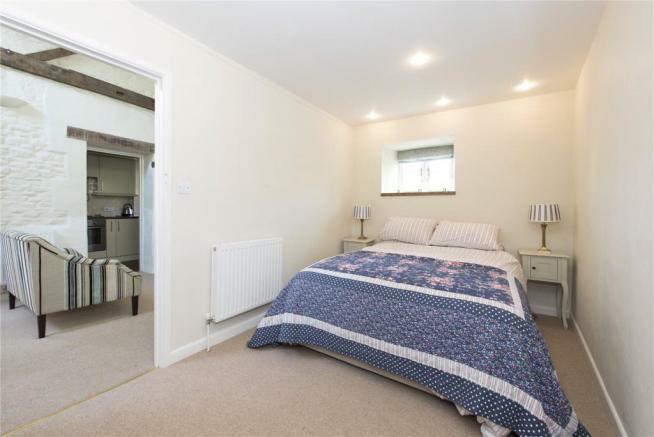 Well-presented attached one-bedroom annexe with fitted kitchenette, ideal for guest accommodation, granny annexe, income stream or working from home. 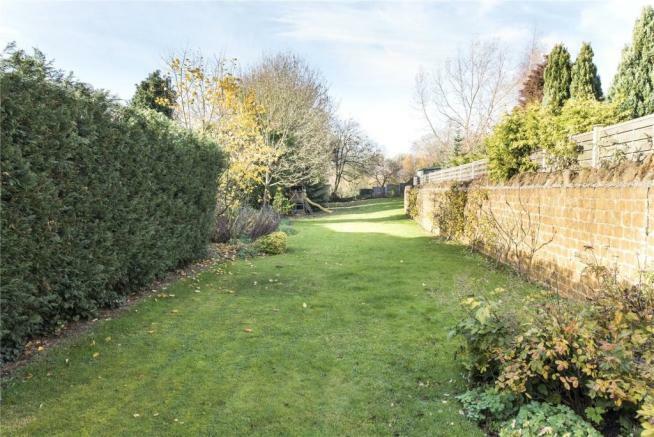 The gardens are level and predominantly laid to lawn with wall, fence and hedge boundaries. Paved entertaining area for summer dining. The garden is west facing with pedestrian gate to a small village green area to front. Variety of espalier fruit trees. Double garage. Off-road parking. 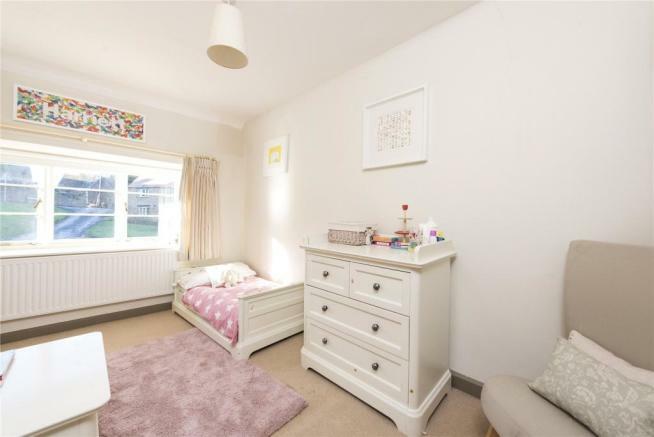 Ideal for young families. From M40 (J11) follow signs to Daventry on A361. Follow the road for about 2.5 miles and just after the left turn to Williamscot, bear right onto Thorpe Road signposted Upper Wardington. Follow this road towards the village. Continue down a gentle hill into Upper Wardington, passed Wardington Manor on the left and after about 175 metres bear left onto a small lane and follow this for 50 metres where the entrance to Simcoes Farm can be found on the left. Disclaimer - Property reference BAS180182. The information displayed about this property comprises a property advertisement. Rightmove.co.uk makes no warranty as to the accuracy or completeness of the advertisement or any linked or associated information, and Rightmove has no control over the content. This property advertisement does not constitute property particulars. The information is provided and maintained by Savills, Banbury. Please contact the selling agent or developer directly to obtain any information which may be available under the terms of The Energy Performance of Buildings (Certificates and Inspections) (England and Wales) Regulations 2007 or the Home Report if in relation to a residential property in Scotland.